Something like tense calm seems to be settling on the streets of Istanbul and Ankara after an attempted military coup in Turkey early Saturday morning. But the reverberations of the failed ouster will be felt for months and possibly years to come. Though the coup didn’t enjoy the full support of the Turkish military, it was something of a shock — and a throwback — to see tanks rolling through major Turkish cities. Amid the chaos, there’s still much that we don’t and, perhaps, cannot know about the fallout of the July 16 coup. In other ways, the failed coup gave us quite a glimpse — in at least four ways — into the state of Turkish politics, culture and democracy. From the very first moments of the election of the conservative, Islamist Adalet ve Kalkınma Partisi (AKP, the Justice and Development Party in 2002, Recep Tayyip Erdoğan, now Turkey’s president, was worried to the point of paranoia that the Turkish military might oust him from power. 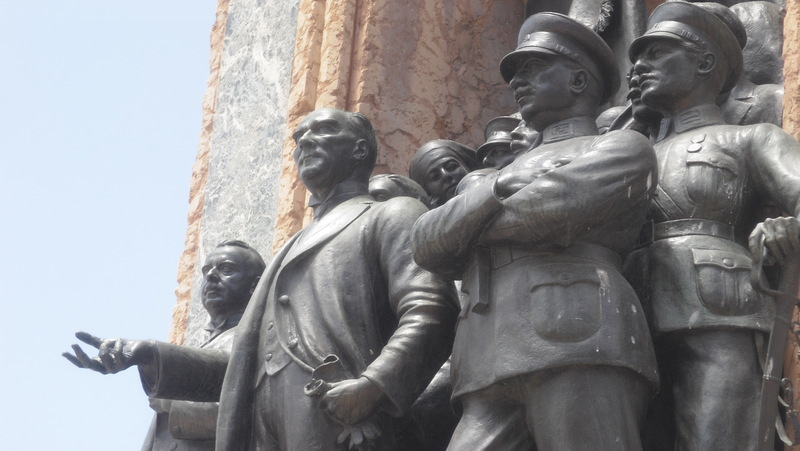 After all, from the inception of the modern Turkish state by Mustafa Kemal Atatürk in the 1920s, the military played an outsized role in what has euphemistically been called ‘guaranteeing’ Turkish democracy. 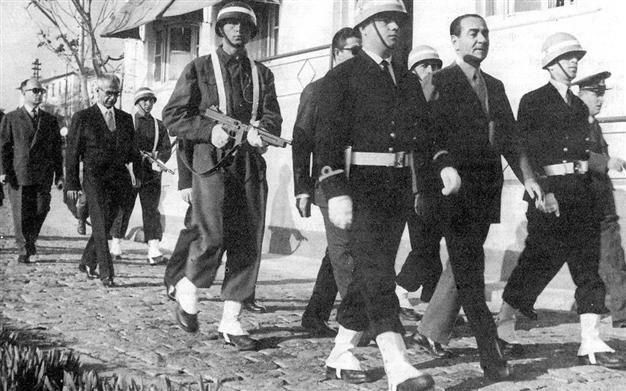 When democratically elected leaders veered too far from the ‘Kemalist’ secular elite’s idea of progress and the rule of law, the military stepped in. It happened, of course, in 1960 and again in 1971, 1980, 1993 and (however gently) 1997. Erdoğan himself was arrested on the basis of undermining Turkey’s secularism in 1998 when he was serving as mayor of Istanbul. He didn’t take immediately power as prime minister after the 2002 elections (the AKP’s co-founder Abdullah Gül initially served until March 2003) because of fears that an Erdoğan-led government would suffer the predictable fate of a military ouster. That’s one reason why Erdoğan presided over a series of problematic trials (Ergenekon) against military, opposition and media figures in the mid-2000s. Though the coup failed, no one certainly knew that in the initial, frightening and confused early hours. That plotters managed to shut down state television and a major international airport showed that the coup was seriously far down the fairway. 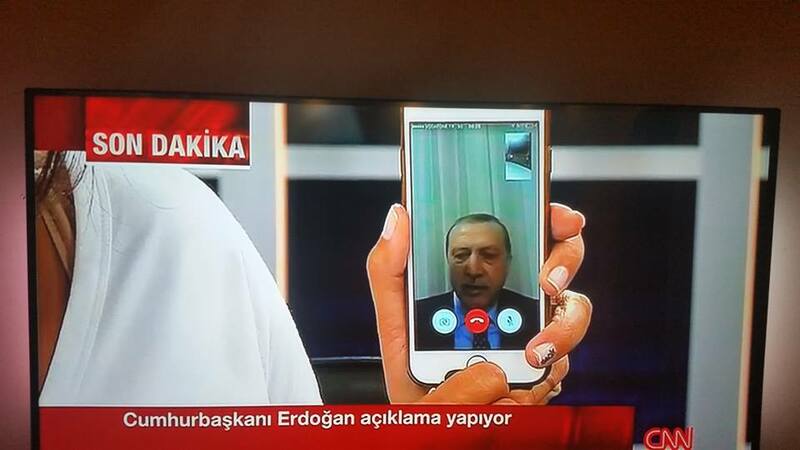 Instead of appearing weak or out of control, a shaky FaceTime appearance on national television turned the tide against the coup’s plotters. Normally, if a coup is unfolding and the president is on vacation, surfacing only hours later on television via FaceTime connection, it would be a sign that the coup is succeeding. Erdoğan’s shaky appearance at first seemed like a sign of weakness. But the surprise of Turkey’s failed coup is that Erdoğan’s emergence had exactly the opposite effect. His call for citizens to defy instructions from the military plotters and come out to the streets to protest the coup turned out to be the turning point amid Saturday morning’s confusion. Almost immediately, the images coming out of Turkey weren’t shots of tanks rumbling along otherwise quiet streets, but more staggering images of everyday Turks climbing on top of those tanks and punching and beating the troops leading the coup. As Al-Monitor‘s Laura Rosen wrote at the time, it’s hard to think of a political leader in the world who could rally supporters to the streets to save him from a coup. Shortly after Erdoğan’s appearance, his predecessor as president, Gül, angrily denounced coup leaders — an important step for an internal AKP rival who has criticized Erdoğan’s increasing tendency toward autocracy. Leaders of other parties followed, including the largest opposition party, the secular and nominally center-left Cumhuriyet Halk Partisi (CHP, the Republican People’s Party). Selahattin Demirtaş, the left-leaning Kurdish democratic leader of the Halkların Demokratik Partisi (HDP, People’s Democratic Party), too, denounced the coup. It’s no longer 1960 in Turkey. The country has changed, and it’s not going back to the era of military coups. 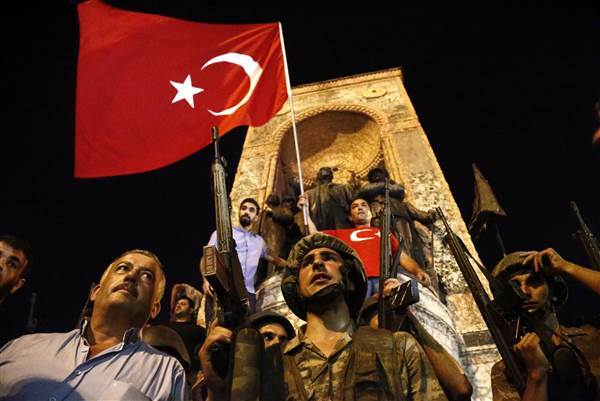 The last successful military coup in Turkey took place nearly two decades ago and, even then, it was barely a coup because the military never technically deployed. In what was called a ‘post-modern coup,’ all the military needed to do in 1997 was issue a strongly worded memorandum to force Necmettin Erbakan, a mildly Islamist prime minister, into resignation. But Erdoğan rose to power initially in the critical 2002 elections because just about everyone in Turkey was fed up with the cozy and corrupt rule of ‘Kemalist’ military and secular elites. Even urban liberals voted for Erdoğan in 2002, because his election promised the possibility of bringing the Kemalist system down once and for all. Erdoğan has maintained his political grip for the ensuing 14 years, in part, because of the CHP’s inability to separate itself from its Kemalist past. Elections last November only proved the AKP’s staying power. While many liberals long ago turned their backs on Erdoğan and, indeed, they now see Erdoğan himself as the greater threat to long-term Turkish democracy, they certainly don’t look to the military as the answer. Removing Erdoğan by coup would represent zero steps forward and 14 steps back. Besides, Turks aren’t blind — they see very well the disregard for democracy and human rights in Egypt following the military coup that ousted Islamist president Mohammed Morsi in 2013. Egyptian president Abdel Fattah El-Sisi hasn’t guaranteed democracy; he has utterly betrayed the notion of it. The coup was a nearly perfect test run of the potency of Kemalism in modern Turkey in 2016. Its failure showed, better than any other alternative, that Kemalism really is dead. The plotters weren’t able to scare the Turkish population, let alone rally them to the cause. Turkey has changed, and it’s not going back to a 20th century model of secularism that was imperfect at best and probably doomed in light of Turkey’s overwhelmingly Muslim population. Noted Middle East scholar Steven Cook, writing Saturday morning in The Washington Post about why the coup failed, argued that the coup was ‘roughly a decade behind schedule,’ at least by the timetable of late 20th century Turkish history. But there’s a reason that a military coup happened today and not a decade ago. 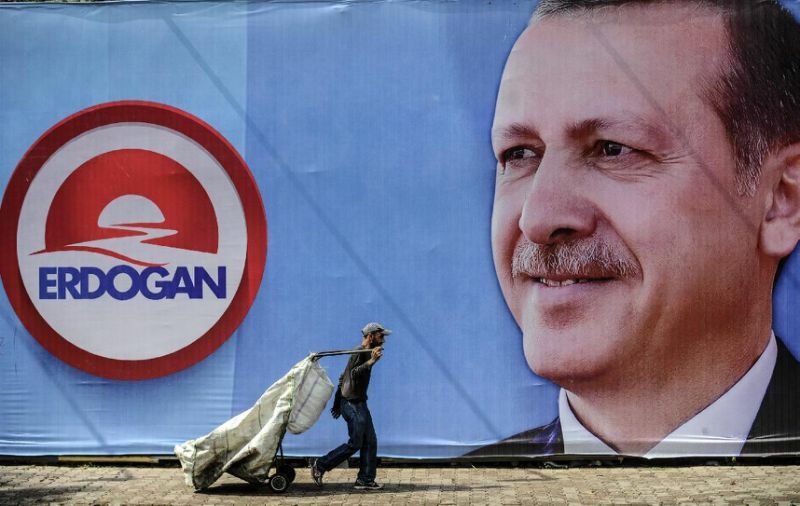 When he was first elected, Erdoğan really did govern as something of a democrat, and his first term was incredibly successful — he relaxed longstanding restrictions on the freedom to practice Islam, he attracted economic growth and investment in ways that left Europeans jealous, he dispersed the gains from economic progress across the country (including among his rural supporters) and he even made a serious push to join the European Union. Today, though, Erdoğan is far more autocratic than democratic. Time and again, he’s undermined the idea of free speech, especially online, and he has severely restricted press freedom. Earlier this year, his government seized the fiercely independent Zaman newspaper. In the 2013 standoff over Gezi Park, he showed no real compunction in dispersing protestors gathering in Taksim Square. Whereas his government could once claim that it had delivered broad cultural, linguistic and political autonomy to Turkey’s long-suffering Kurdish minority, he used the pretext of political violence last summer to crack down on Kurdish communities, reigniting conflict with the militant Partiya Karkerên Kurdistanê (PKK, Kurdistan Workers’ Party) in a bid to undermine Demirtaş, the HDP and the Kurdish democratic movement. That has complicated the regional efforts against ISIS, which pits American and Turkish forces alongside Kurdish peshmerga forces. His push to transform Turkey from a parliamentary republic into a presidential one has undermined the role of the prime minister and consolidated power further into Erdoğan’s hands. Erdoğan might now well use the failed coup as an attempt to grab even more power, perhaps using a popular referendum to hollow out the national assembly’s powers once and for all. We don’t know what comes next for Turkey, but the stakes couldn’t be higher. The fallout effects of a destabilized Turkey could touch the ongoing Syrian civil war and the effort to defeat ISIS, the grinding lack of progress in unifying Iraq, the flow of Syrian and other migrants into the European Union, the long-term unity of NATO, the political future of Kurds in Turkey, Syria and Iraq, and so on. It’s hard to be sanguine about Turkey’s near-term future. We don’t yet know the extent to which Erdoğan will use the coup to double down on paranoia and authoritarianism. But we already have some idea. Talk of ‘cleansing’ the military and discussion of restoring the death penalty suggests that Erdoğan is already using the coup as a pretext for implementing a crackdown against his enemies — both real and imagined. We don’t know what role, if any, that Fethullah Gülen, the exiled Turkish cleric, played in the coup (as opposed to his followers within the Turkish military). As usual, the truth lies unreachably between Erdoğan’s state-sanctioned paranoia and utter blamelessness. But Erdoğan has already called in strident terms for the United States to extradite Gülen. It’s not clear how far Erdoğan is willing to shred relations with the United States unless Turkey has real evidence that Gülen was somehow involved from his home in rural Pennsylvania, which seems to strain credulity. When he first took power, Erdoğan and the Gulenists worked together to defeat the Kemalist elite. Increasingly, however, since Gulenists brought to light several corruption scandals in Erdoğan’s government, the president has turned on Gulenists, systemically removing them from key positions, including in the military. But a diplomatic conflict with Turkey, at a time when US military forces are pushing to eliminate ISIS’s grip on eastern Syria and western Iraq, is hardly welcome. Moreover, at a time when NATO is facing challenges on all fronts (from Brexit to criticism from Republican presidential candidate Donald Trump to rising tensions with Russia), deep conflicts between two NATO allies could invite further global and regional instability.